NYC Deadhead Alert! 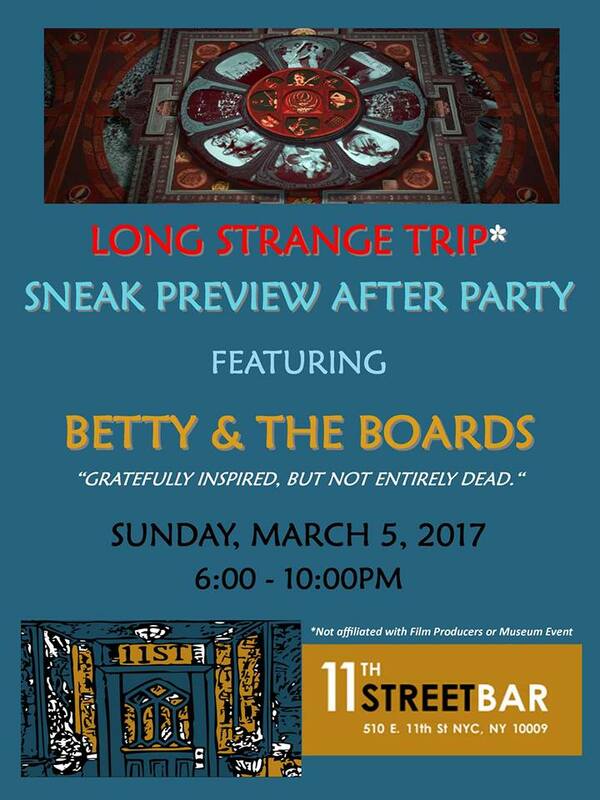 ~ If you are planning to attend the Sneak Preview Screening of the "Long, Strange Trip" film on March 5th in NYC (or even if you are not going to that event), come shake your bones with BETTY & THE BOARDS at 11th Street Bar at 510 11th St, between Avenue A / B. It's a FREE show in a great Bar! 6:00 - 10:00 PM!! !